← Even the weather’s fighting me. So I picked up a 1972 Airstream Ambassador today. Scored it for only $800 from the tow yard a friend of mine works at. I’ll post up about it on here on occasion, since it will become another one of my project vehicles. The link here and on the “outside connections” page goes to the AirForums thread I started about it. Essentially it’s a 29′ long rolling hotel. It’s dirty as heck right now since the previous owners’ last hurrah with it was to take it to Burning Man 2014, but it should clean up well. 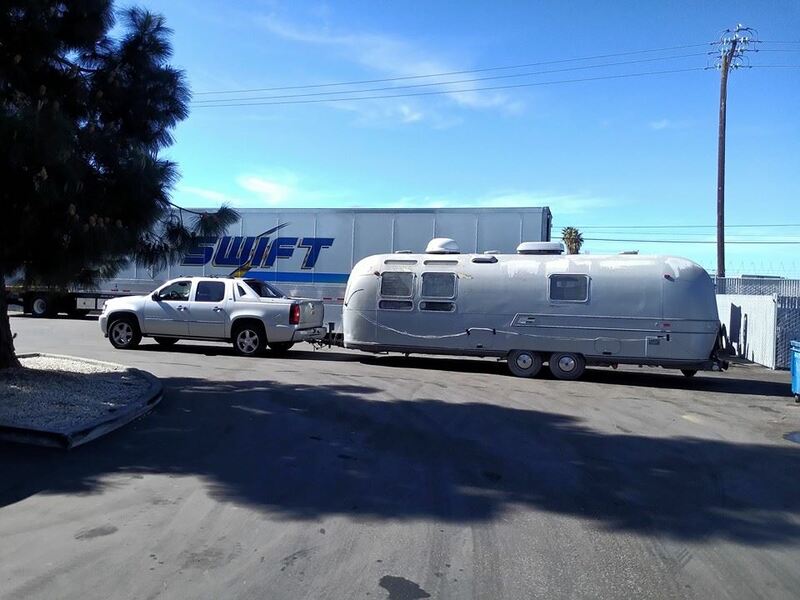 Part of why this is being shared here is that the long term plans are, should I decide after a couple years of trying out travel trailering that I enjoy it, I will gut / modernize the trailer to some extent and get my own tow vehicle (instead of using my parents’ Avalance). That tow vehicle would have to be something that can both haul the trailer and carry the Morgan on its back as well. The idea is, haul the two to some nice place (like Napa) for a ‘long weekend’ and go cruising with the Morgan instead of the tow vehicle. This entry was posted in 1966 Morgan +4, 1972 Airstream Ambassador. Bookmark the permalink. 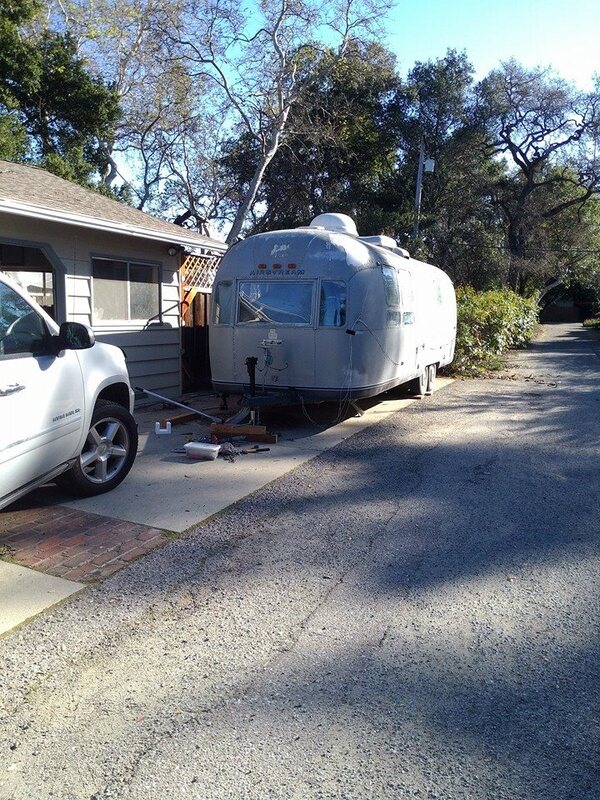 Came here from Talk Morgan, We have a 1964 Avion trailer that we love. 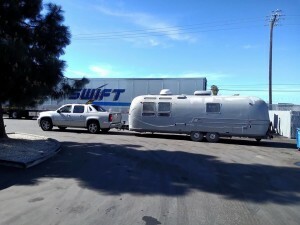 Congrats on the Airstream, that was our first trailer. You might want to join Tin Can Tourists on Facebook, if you have any questions that you dont get answered over on Airforums. Thanks Kirk, I’ll look up that group. At the point now where things are (slowly) starting to get ready to go back into the trailer, so there will more than likely be some Q&A goings on with that.